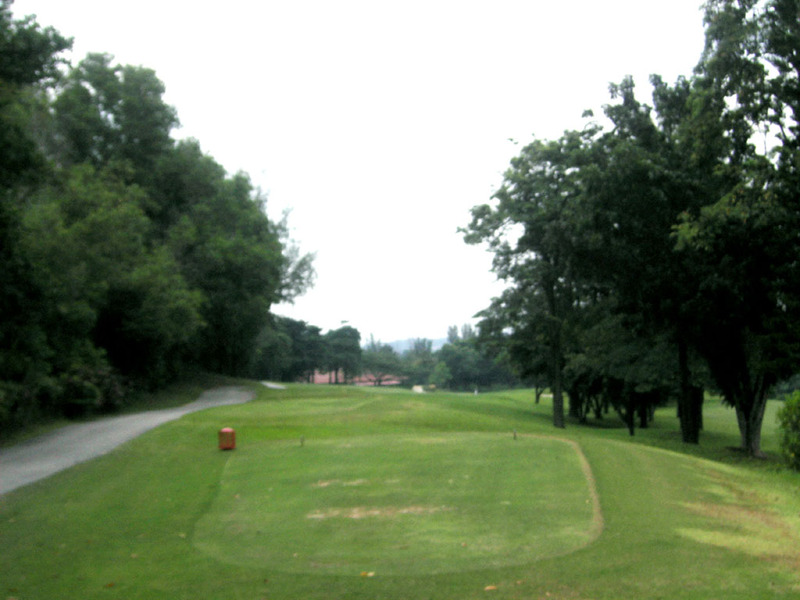 The rolling hills of the former oil palm estate have been turned into two 18 holes golf courses, Palm and Bunga Raya. Both courses have undulating fairways, mounds, bunkers, ridges, lakes and ponds to prevent you from getting that "par" or "birdie". Both are equally challenging, maybe difficult should be the word. 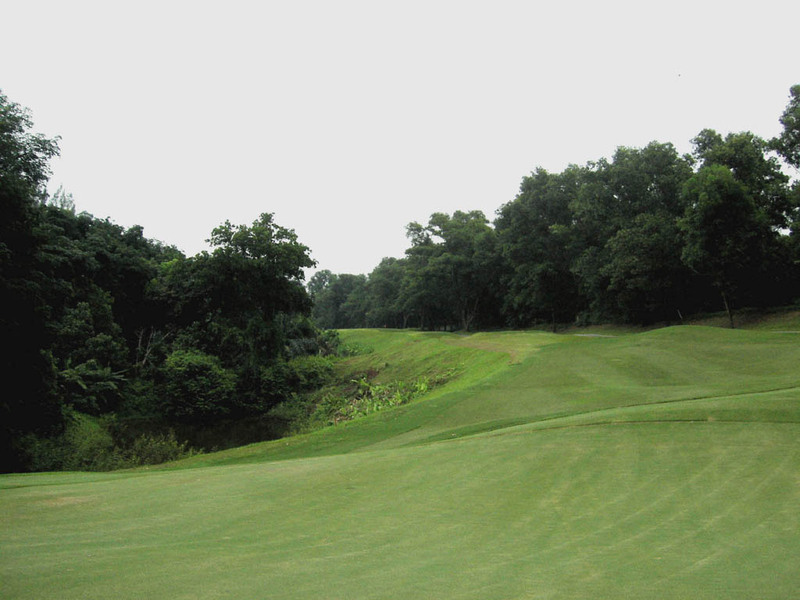 Although the Palm is more famous, this Bunga Raya Course, nicknamed "Crocodile", is equally charming with its risk-reward elements and relatively small greens. This scenic 18 has a wide expanse of water and undulating greenery that create a sense of freedom and space. At 6800 yards, it looks deceptively easy but many have regretted underestimating it. There are no palm trees on the course but a lot of lakes and trees guarding the fairways come into play. I was very much impressed to see a woodpecker in for the first time in my life. Ted Parslow is on the way to renovate the entire course. When I played on Apr. 5 2010, only the back 9 was available to play. The green has become very fast. A dogleg to the left. The green is very narrow, only 8 yards wide when the pin is positioned at the back. A par 3 over a ravine. It looks easy at first but is actually difficult to play. The green is guarded by bunkers on the left and a strong slope on the right. Moreover, the triple- tiered green has big undulations and is 40 yards deep. A short par 4 with a lot of fairway bunkers to catch your tee shot. You should avoid those bunkers. The green is elevated and protected by bunkers. A slightly downhill, almost 90 degree dogleg to the right. Unless you are genuine long hitter, you lay up in front of a hazard on the second shot, and then the approach shot is 120 – 160 yards long. The small, undulating green is well protected by deep bunkers. A tight and difficult hole. The tee shot must be careful as a hazard is reachable 250 yards off the tee. The second shot is uphill to a blind green. A slight dogleg to the left with the green further swung to the left. An accurate long iron or fairway wood tee shot is required on this scoring hole because the fairway is narrow. The green is small and protected on the front by water. A short par 3 over a lake. Club selection is very important on this hole to hit the tiny green whose front is surrounded by water. A beautiful dogleg to the right. The tee shot is over a lake and the second and third shots are sharply uphill. The fairway is narrow with a lot of water hazards. Flock of monkery in a tee. It is a 40 minutes drive from Central Kuala Lumpur and 50 minutes drive from ＫＬ International Airport. In order to play, you need to stay at the adjacent hotel. 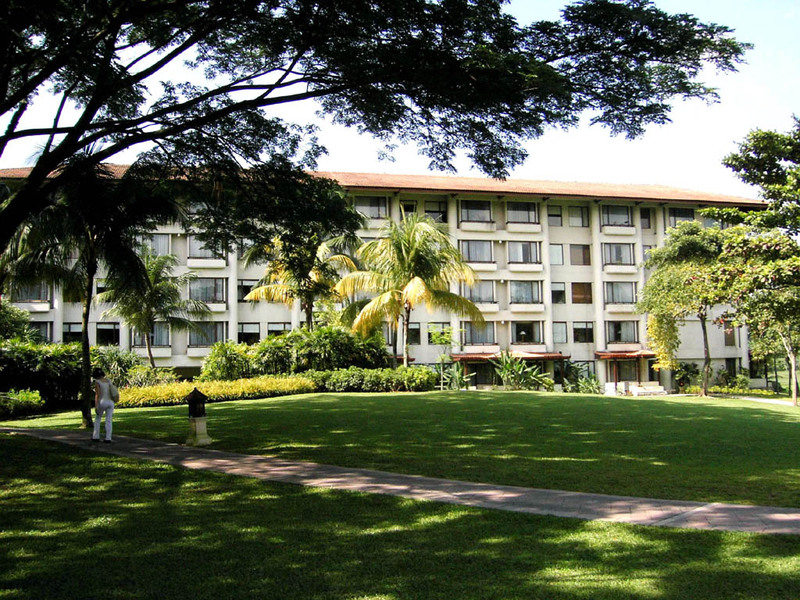 I recommend you stay at the Saujana Hotel, Kuala Lumpur, Club. (Formerly named as Hyatt Hotel, Regency Club). If you pay a little over USD 100 per night, the beer, wines, drinks and some snacks are free of charge at the lobby from 5:00 pm to 7:30 pm. The hotel changed ownership in May 2005, but the service remains the same. The caddies were well trained. 3 players are needed to play on Saturdays and Sundays. The distance sticks are in yards, which is not common in Malaysia as meters are used. 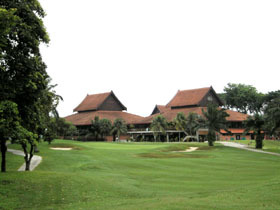 Carlsberg Malaysia Open, on the European PGA Tour, was held at the Palm Course in 2004 and 2005. The Palm Course was voted as the best course in Malaysia by Asian Golf Monthly in 2003 and 2004. Among Ronald Fream designed other courses, in Asia are, Kelab Golf Perkhidmatan Awam, Awana Genting G&CC, Karambunai Resorts GC and Bangi Golf Resort in Malaysia, Mountain Shadow GC, Panya Indra GC and Windsor Park &GC in Thailand, Bonari Kogen GC, Happy Valley GC and Oumurawan CC - New Course in Japan, Asiana CC and The Club at Nine Bridges in Korea, Tianjin Warner International GC, Grand Shanghai International G&HR and Orient Xia Men G&CC in China, and Royal Brunei CC in Brunei.